Today I am celebrating on the blog! 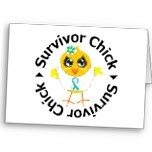 Easter Sunday will mark the one year anniversary of me having surgery to remove cancer from my body! It came, we fought, and I won! 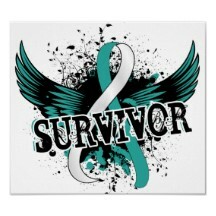 Therefore, I am happy to say I am a cancer survivor! Sign up for Girls Love Mail emails so in the future you will be reminded of them and maybe even be able to write a letter or two in the future. One of the great things is you are doing more than writing a letter, you are sending a hand-made gift, one which will bring a smile to someone’s day! So come on and join me and even if you can’t write now, won’t you help them spread the word? If you or someone you know is giving back in some way I’d like to help share the word. Jump on over to my Facebook page and let me know! PS Happy Easter and Happy 1 year cancer free to me! Thanks for celebrating with me! Congratulations Sandra!! The letters sounds like a wonderful idea and I want to do it too!! Thanks for being inspiration to us all! Happy Easter! Rita, thanks for stopping by! I think it will be a great way to help others feel better! Thanks for celebrating with me! Happy Easter! Thanks Katherine, I am truly a blessed woman! Thanks for celebrating with me! Easter is for new beginnings and I am pleased you were able to celebrate a new beginning when you won against the fight with cancer a year ago. It has been so nice to get to know you through your blog. You are a woman of faith with a lot of love in her heart for life and your family. Thanks Constance! I totally agree, I thought it was a perfect day to celebrate my 1st anniversary! Happy Easter and thanks for stopping by to celebrate with me! Congratulations on One Year! What a great way to spend Good Friday! I will be writing a letter for Girls Love mail in the near future. My sister was looking forward to giving back to other women battling breast cancer almost 5 years ago when she was recovering from her mastectomy surgery. We didn’t know that a year later she would be gone. Somehow, maybe this gesture will serve as a small follow through on what she wanted to do. Congratulations! It makes me happy to see people supporting each other…even when they’re hurting. Thanks for sharing your news. That’s true! Thanks for stopping by and helping me celebrate! Congratulations, Sandra! We are all celebrating with you! Wishing you and your family a blessed Easter. Thanks Jill! Thanks for stopping by and helping me celebrate. Happy Easter!